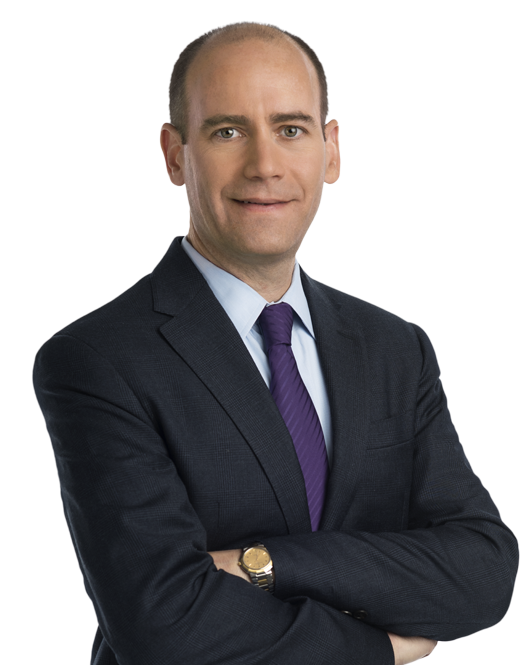 Adam Feinberg has a nationwide complex federal regulatory litigation practice. His two main areas of focus – federal tax litigation and False Claims Act litigation – both center around the flow of money between the federal government and private parties. He represents clients in the energy, air transportation, healthcare, defense, and other industries that are subject to substantial federal taxation and regulation. Mr. Feinberg is a member of Miller & Chevalier's Executive Committee. He joined the firm in 1997. Thompson Truck & Trailer, Inc. v. United States, No. 17-3154 (8th Cir.). Retained as appellate counsel to challenge dismissal of refund suit involving the federal excise tax on the retail sale of heavy trucks and trailers. Appeal pending. Currently represent numerous refiners in connection with refund claims involving the alternative fuel mixture credit. United Airlines, Inc. v. TSA, 859 F.3d 67 (D.C. Cir. 2017). Successfully petitioned the D.C. Circuit to overturn the government's refusal to consider an air carrier's refund claim involving erroneously paid user fees. Louisiana Health Services & Indemnity Co. v. United States, 2009 U.S. Dist. LEXIS 56699, No. 05-0914 (M.D. La. 2009). Represented an insurance company in a successful refund suit regarding deductions for the loss of customer-based intangible assets held when the insurance company first became a taxable entity. Summary judgment granted in the insurance company’s favor on most liability issues; refund amount settled in 2010. Hospital Service Association of Northeastern Pennsylvania v. United States, 78 Fed. Cl. 434 (2007), appeal dismissed, No. 2009-5020 (Fed. Cir. 2008). Represented an insurance company in a successful refund suit regarding deductions for the loss of customer-based intangible assets held when the insurance company first became a taxable entity. Summary judgment granted in the insurance company’s favor. American Airlines, Inc. v. United States, 551 F.3d 1294 (Fed. Cir. 2008). Represented American Airlines in successful refund suit involving U.S.-imposed user fees for international passengers. Judgment in American Airlines’ favor affirmed on appeal. Continental Airlines, Inc. v. United States, 77 Fed. Cl. 482 (2007), appeal dismissed, 346 Fed. App’x. 578 (Fed. Cir. 2009). Represented Continental Airlines in successful refund suit involving U.S.-imposed user fees for international passengers. Summary judgment granted in Continental Airlines’ favor. United Airlines, Inc. v. United States, No. 1:06-cv-00641-ECH (Fed. Cl.). Represented United Airlines in successful refund suit involving U.S.-imposed user fees for international passengers. Settled favorably in 2010. Kohler Co. v. United States, 468 F.3d 1032 (7th Cir. 2006), aff’g, 387 F. Supp. 2d 921 (E.D. Wis. 2005). Represented Kohler in successful refund suit over whether it incurred a taxable gain in connection with a Mexican debt-equity swap transaction. United States ex rel. Soodavar v. Unisys Corporation, 178 F. Supp. 3d 358 (E.D. Va. 2016). Represented Unisys Corporation in a False Claims Act suit alleging fraud in connection with the U.S. Army’s radio-frequency identification program. Successfully argued motion to dismiss, which was granted on the grounds that “worthless services” allegations failed to state a claim and remaining claims were precluded by the False Claims Act’s first-to-file bar. United States ex rel. Saunders v. Unisys Corporation, No. 1:12-cv-00379 (E.D. Va.). Represented Unisys Corporation in a False Claims Act suit alleging fraud in connection with the U.S. Army’s radio-frequency identification program. Settled in 2014. United States ex rel. Greabe v. Blue Cross and Blue Shield Association, No. 04-11355 (D. Mass). Represented the Blue Cross and Blue Shield Association in a False Claims Act suit alleging fraud in connection with a Federal Employees Health Benefits Act contract with the U.S. Office of Personnel Management. Successfully argued motion for summary judgment, which was granted in the Association’s favor in 2010. United States ex rel. Campbell v. Lockheed Martin, No. 95-cv-549 (M.D. Fla.). Represented Lockheed Martin in a False Claims Act suit alleging fraud in connection with contracts with the Air Force for LANTIRN navigation and targeting systems. Settled in 2003. Blue Cross and Blue Shield of Nebraska, et al. v. United States, No. 1:18-cv-00491-SGB (Fed. Cl.). Currently represent two Blue Cross and Blue Shield entities seeking recovery against the government due to its underpayment of risk corridors and risk adjustment amounts under the Affordable Care Act. Fero v. Excellus Health Plan, Inc., 2017 U.S. Dist. LEXIS 25471 (W.D.N.Y. Feb. 22, 2017). Represent the Blue Cross and Blue Shield Association in class action regarding the Excellus data breach. Argued motion resulting in dismissal of third party breach of contract claims (on ground that plaintiffs are not intended third party beneficiaries of the subject federal government contract) and dismissal of state statutory claims for benefit of the bargain damages (on ground that such damages are barred by the filed rate doctrine). Trial counsel for major airline in enforcement action brought by the Transportation Security Administration. Tried case in September 2016; awaiting decision. Vrijesh S. Tantuwaya MD, Inc. v. Anthem Blue Cross Life & Health Ins. Co., 169 F. Supp. 3d 1058 (S.D. Cal. 2016). Represented administrator of a federally-sponsored health plan. Successfully argued before the district court in opposition to motion to remand (on federal officer removal grounds) and in favor of motion to dismiss (on federal preemption and sovereign immunity grounds). Bell v. Blue Cross & Blue Shield of Okla., 823 F.3d 1198 (8th Cir. 2016). Represented Blue Cross & Blue Shield entity in case involving the scope of the Federal Employees Health Benefits Act’s preemption provision. Successfully argued appeal in the Eighth Circuit. In re Anthem Data Breach Litigation, Case No. 15-MD-02617 (N.D. Cal). Represent the Blue Cross and Blue Shield Association in multidistrict litigation regarding the Anthem data breach. Mentis El Paso, LLP v. Health Care Serv. Corp., 58 F. Supp. 3d 745 (W.D. Tex. 2014). Represented administrator of a federally-sponsored health plan. Obtained dismissal of the case on sovereign immunity grounds. Omega Hosp., L.L.C. v. La. Health Serv. & Indem. Co., 592 F. App’x 268, 272 (5th Cir. 2014). Retained as appellate counsel to challenge award of attorney’s fee in connection with defendant’s removal to federal court. Successfully argued case before the Fifth Circuit, which reversed the district court on the ground that defendant had an objectively reasonable basis to remove the case to federal court under the federal officer removal statute. Ensco Offshore Company and ATP Oil & Gas Corp. v. Kenneth Lee Salazar, et al., 2011 U.S. Dist. LEXIS 49875 (E.D. La. May 10, 2011); 2011 U.S. Dist. LEXIS 16321 (E.D. La. Feb. 17, 2011); 2010 U.S. Dist. LEXIS 111226 (E.D. La. Oct. 19, 2010); 478 Fed. App’x. 113 (5th Cir. 2012). Represented plaintiffs in an Administrative Procedure Act challenge to the U.S. Department of the Interior’s deepwater drilling moratorium and subsequent delays in issuing offshore drilling permits. The moratorium was withdrawn by the government on the day post-hearing briefs were due; summary judgment was granted in plaintiffs’ favor on the delay claims and the government was preliminarily and permanently enjoined to act on the subject drilling permits within 30 days. Adam P. Feinberg will be speaking during the American Petroleum Institute's (API) 2018 Excise Tax Forum in Houston, TX. Feinberg will present, as part of a panel, "Butane Credit." Adam Feinberg commented on a False Claims Act whistleblower suit against pharmaceutical company Gilead Sciences. In this article, Members Adam Feinberg and Brian Hill and Counsel Jonathan Kossak* discuss the recent increase in the civil penalties available under the False Claims Act (FCA).